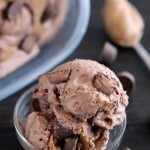 No Churn Chocolate Chip Cookie Dough Ice Cream (+10 more ice creams!) - Dessert Now, Dinner Later! 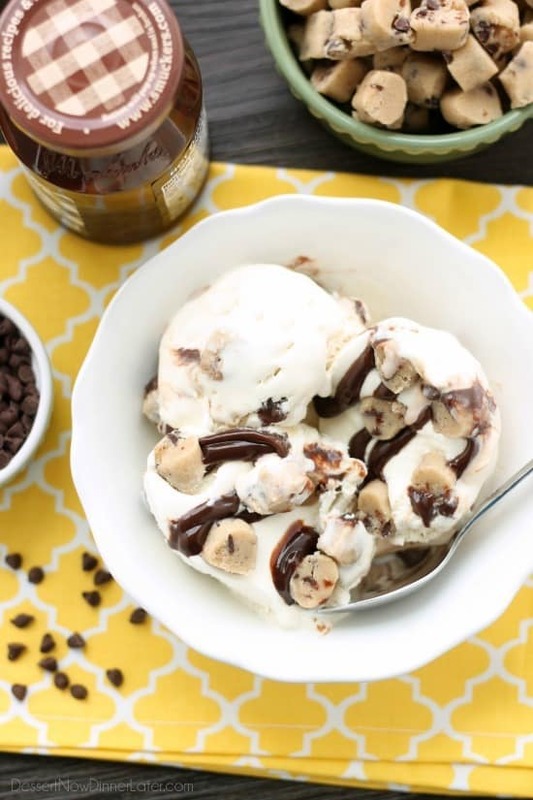 This no churn chocolate chip cookie dough ice cream has generous pieces of eggless cookie dough inside a creamy vanilla ice cream with hot fudge swirls. 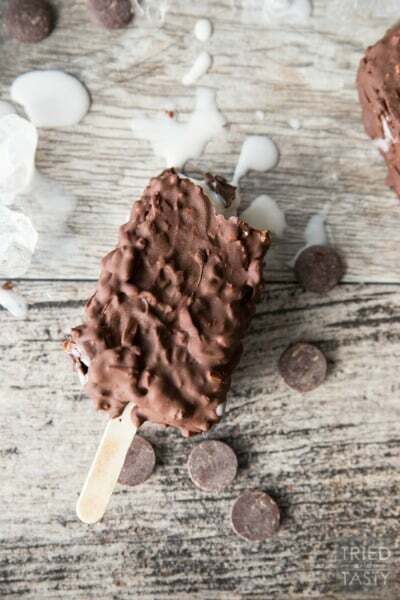 No ice cream machine needed to make this delicious dessert! 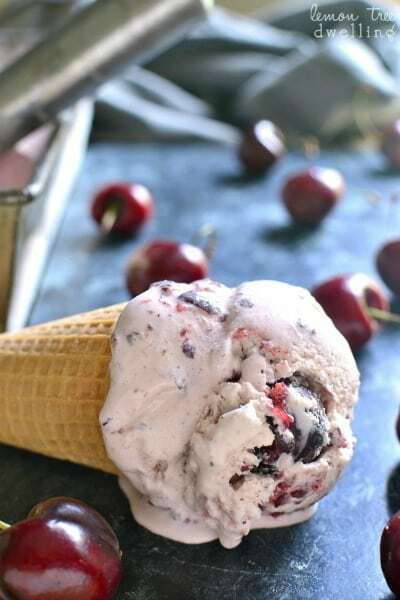 I shouldn’t admit it, but I totally have ice cream like every night during the summer months. 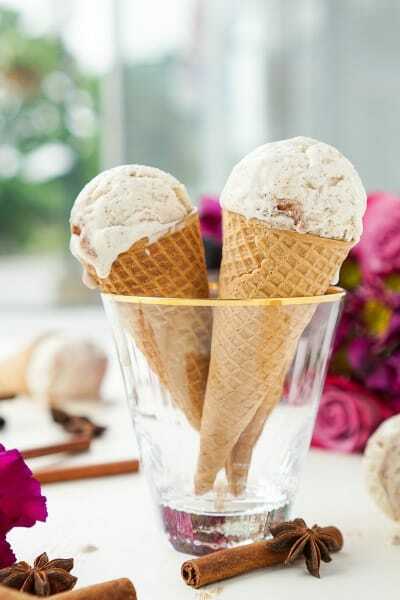 It’s a sacrifice my waistline has to endure for the sake of enjoying a cold, delicious treat! 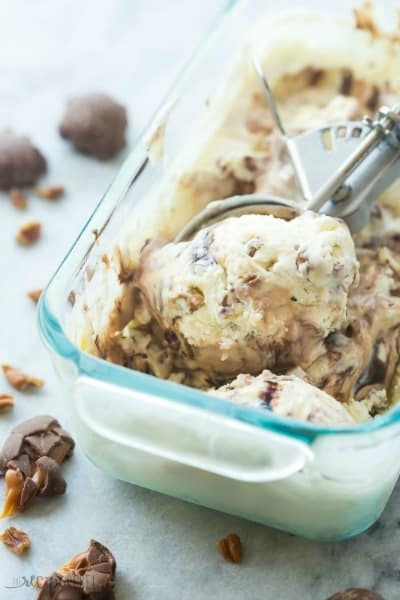 I’ve made several “no churn” ice creams on this blog so far, and I really can’t claim a favorite, but the eggless chocolate chip cookie dough in this one is just — perfection! 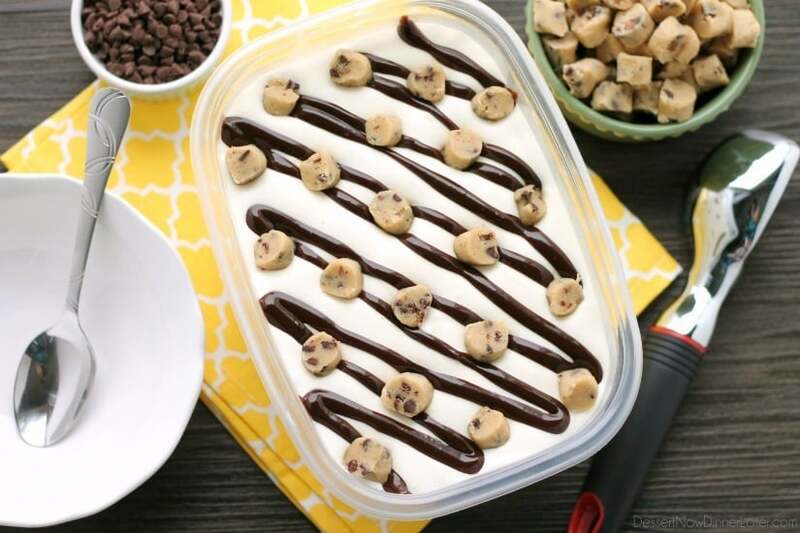 Speaking of cookie dough … have you ever tried Jimmy Fallon’s The Tonight Dough? It is ridiculously full of all of my favorite naughty foods. Caramel, chocolate, cookie crumbs, peanut butter cookie dough, and chocolate chip cookie dough. The peanut butter cookie dough tastes funny to me, but I LOVE everything else. It’s love on a spoon! 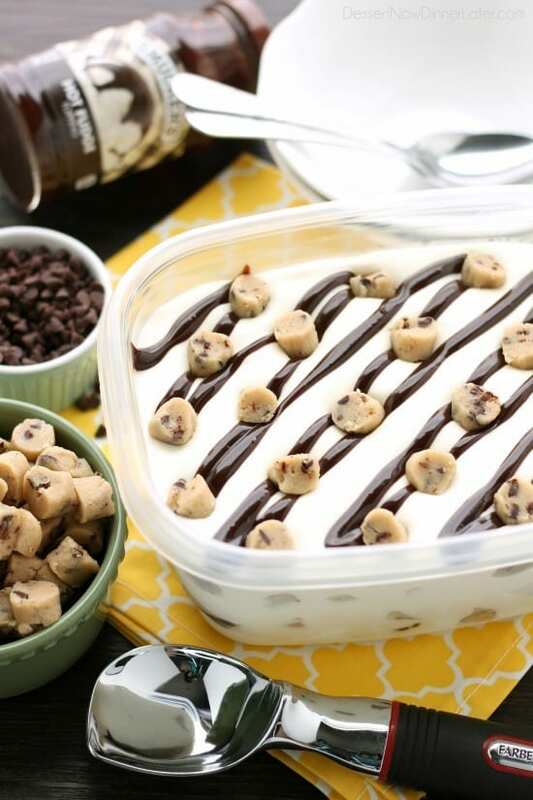 I’ve always wanted to make my own ice cream with cookie dough in it. Besides “The Tonight Dough”, there just never seems to be enough chocolate chip cookie dough in the ice creams you buy at the store, and that’s my favorite part! I actually don’t like chocolate chips in my ice cream (hard chocolate pieces ruin the smooth melty texture of the ice cream), but I’ll eat the chocolate chips in my cookie dough. I seriously popped at least 20 of the cookie dough balls into my mouth while I made this. Haha. My little addition to this ice cream is the hot fudge. Since I don’t like chocolate chips in my ice cream, I opted for hot fudge instead to get that extra chocolatey goodness. It was the perfect touch! 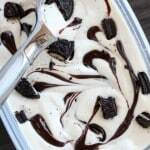 Creamy vanilla ice cream, bite size pieces of chocolate chip cookie dough (eggless of course, so you can eat it with no worries), and decadent chocolate fudge swirls! I’ve died and gone to heaven! I may have eaten 75% of this batch of ice cream all by myself. Haha! 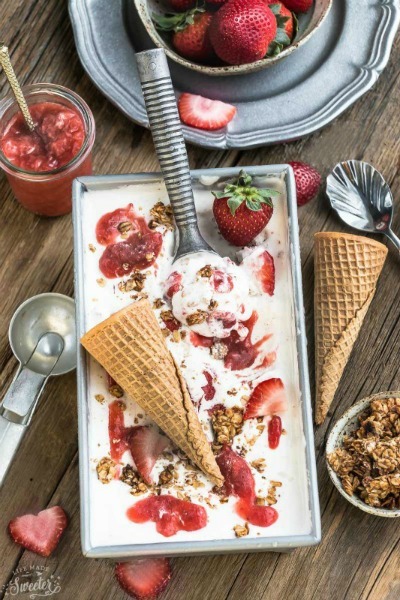 The best part of this ice cream is that you don’t need an ice cream machine! 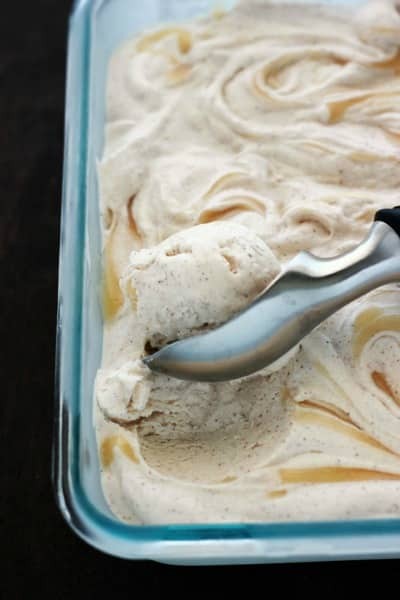 Two ingredients as your base (heavy cream & sweetened condensed milk) and you can make any kind of ice cream you can dream of! 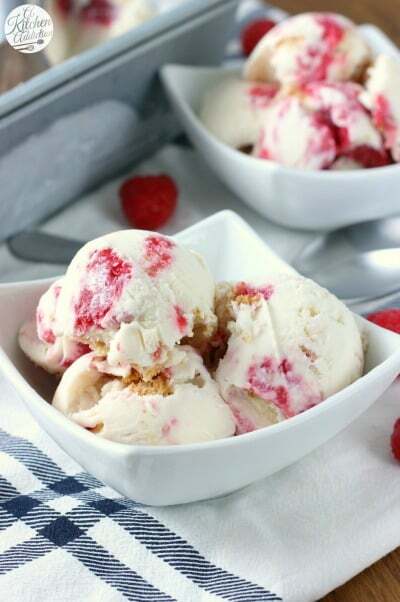 It’s easy, but if you are new to no churn ice cream, this is a great recipe to start with. 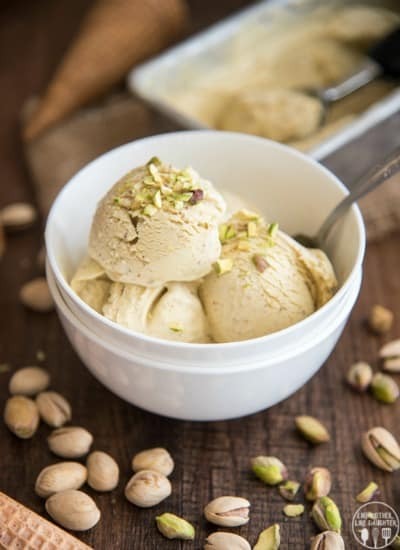 Cookie Dough:In a large bowl using a handheld mixer or stand mixer with the paddle attachment, beat the butter, brown sugar, and white sugar together on medium speed until light and creamy. Add the milk and vanilla. Mix. Add the flour and salt all at once and slowly mix until everything is moist. 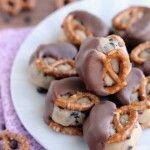 Add the mini chocolate chips. Mix. Roll cookie dough into several long ropes about ½-inch thick and place on a baking sheet. Place baking sheet in the freezer for about 30 minutes. Then remove the baking sheet from the freezer and slice into bite size pieces, about ½-inch wide. Keep cold. If necessary, return cookie to the freezer while prepping the next step. Ice Cream:In the bowl of a stand mixer with the whisk attachment, whip the heavy cream until stiff peaks, about 3½ minutes on high speed. 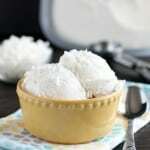 Mix together the condensed milk and vanilla in a large bowl. GENTLY fold in the whipped cream until no white streaks appear, being careful not to deflate the mixture too much. 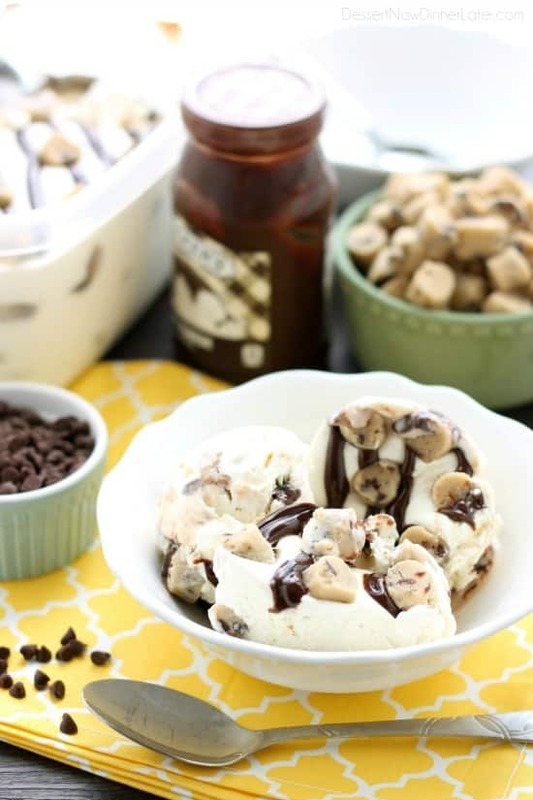 Pour another ⅓ of the ice cream mixture; sprinkle with cookie dough pieces and drizzle with hot fudge. Pour the last ⅓ of the ice cream mixture. 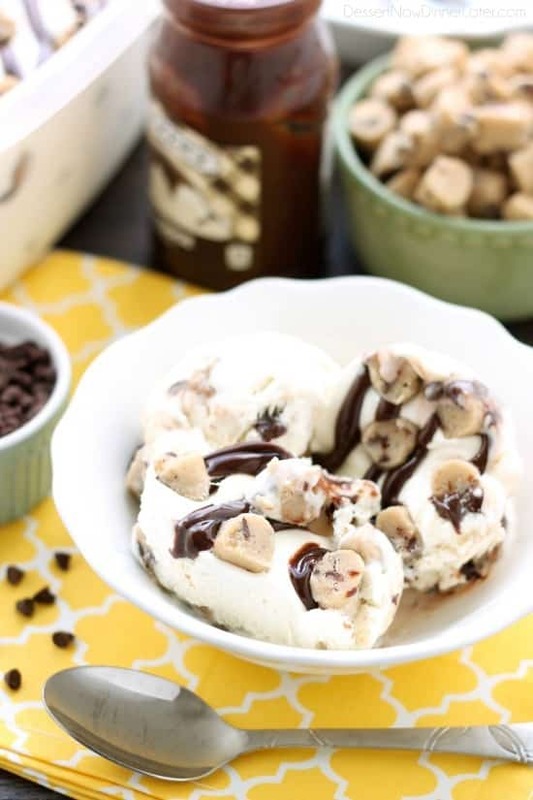 Sprinkle with cookie dough pieces and drizzle with hot fudge. 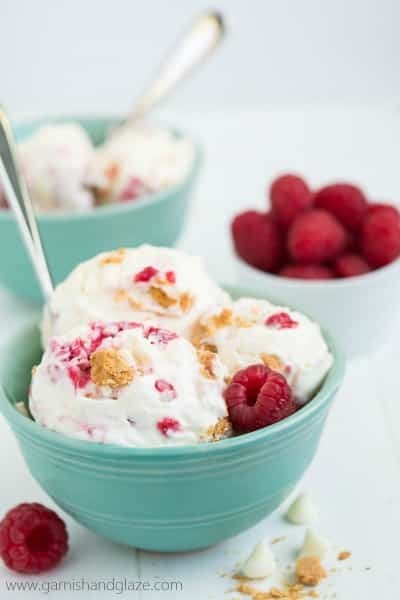 Check out these other delicious ice cream recipes! By clicking on the images below. 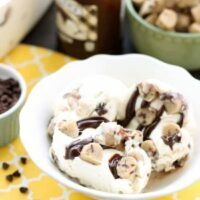 Chocolate chip cookie dough ice cream is one of my favorites, but I’m with you – it needs lots of chunks! Have you tried ben and jerry’s half baked ice cream? I actually like it better than the tonight dough, personally. Its cookie dough and brownie chunks with vanilla and chocolate ice cream! Yours looks perfectly chocolatey and cookie doughey! I better go find that Half Baked Ice Cream! That sounds way better than the Tonight Dough. 🙂 Thanks for your kind words Aimee! 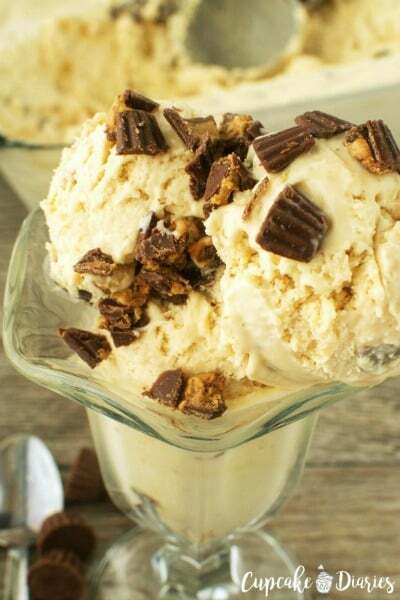 Cookie dough ice cream is one of my favorites! The more chunks the better! Yours looks perfect! Thanks Jessica! This did not last long at our house! Pretty much can’t wait to make this cookie dough… We’re guilty of eating regular dough before baking so an egg-less version is genius. 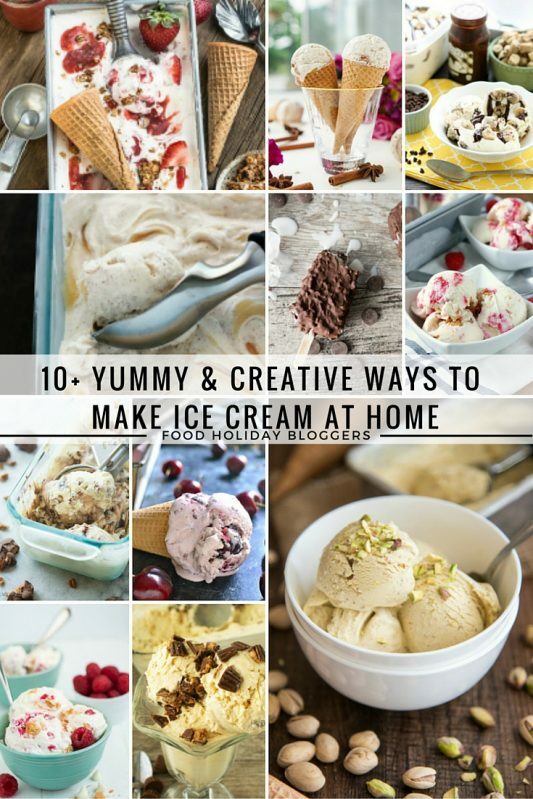 We *might* even leave enough to make the ice cream!